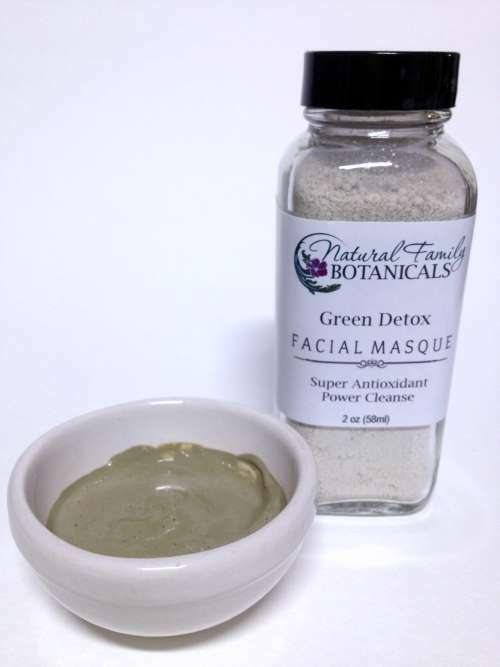 Green Detox Facial Masque made with French Green Clay and enriched with super antioxidants. Use as a weekly skin detox to gently exfoliate plus absorb and remove impurities from your skin. 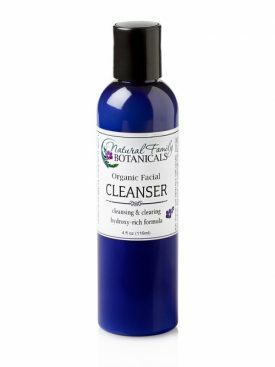 It revitalizes your skin and will make your face will feel refreshed and look radiant! Green Detox Facial Masque is an antioxidant rich clay facial masque for weekly detoxing and exfoliating, to revitalize your facial skin cells, and make your skin feel refreshed and look radiant! Our Green Detox Facial Masque offers a gentle way to exfoliate blotchy looking dead skin cells and an effective way to protect and revitalize the new fresh layer of skin cells. 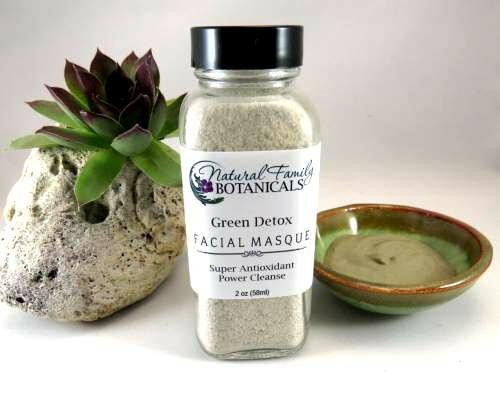 The super antioxidant ingredients in our Green Detox Facial Masque delivers excellent protection from environmental toxins which are the number one reason for skin deterioration and aging. Antioxidants combine with free radicals, overpowering them and deactivating their potential to harm our skin. Natural plant sources such as Green Tea, Watermelon, Cucumber, and Rosemary combine to create an outstanding powerhouse of antioxidants that truly deliver and produce visible results. In addition, the gentle exfoliation action of kaolin and French green clay help to assist the antioxidants by getting the old skin cells out of the way and preparing your skin for a dose of anti-aging protection! Use: For excellent results use this masque at least 1, preferably 2 times per week. Be sure to follow up with our micro-nutrient filled Complexion Mist to re-balance the pH of your skin after using the masque. Natural kaolin (china) clay, French green (Illite) clay, camellia sinensis (green tea) extract, citrullus lanatuscucumis (watermelon) extract, sativus (cucumber peel) extract, rosmarinus officinalis (rosemary) essential oil. Green Tea Extract is a rich source of the super antioxidants Vitamin C and Vitamin E. These two vitamins are very important for skin health and protection. Green Tea is also one of the highest sources Catechin which is a type of Polyphenol. 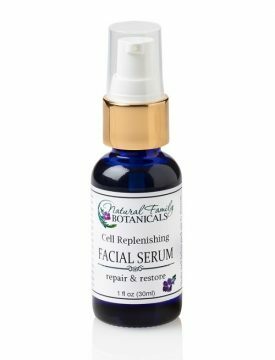 Anti-aging skincare research is finding that Polyphenols are wonderful antioxidants that prevent many different diseases associated with oxidative stress including our skin. 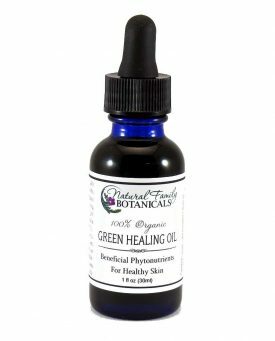 Polyphenols overpower and “deactivate” free radicals and keep them from harming skin cells so using skin care products rich in Polyphenols not only will keep your skin healthy but also slow down the aging process. Cucumber Peel Extract is another natural sourced powerful antioxidant rich in vitamins and minerals necessary for healthy, glowing skin. Cucumber has a cooling and skin-tightening effect to keep your skin looking smooth, toned with minimized pores, plus soothing and calming any irritations. Gives a refreshing feeling and makes your skin look radiant! Watermelon Extract is rich in Vitamin C and essential cell building amino acids. It’s strong antioxidant activity offers amazing protection from environmental pollutants including harmful UV radiation and dehydration. When applied topically, watermelon extract is extremely hydrating and assists regeneration of skin cells to promote a smooth, refreshed appearance. Rosemary Extract is reputed to be a highly efficient antioxidant for the skin and helps to strengthen skin elasticity and assist in slowing the signs of aging. Kaolin Clay is soft and gentle and helps to remove oil from the skin reduces the unwanted oily shine on the nose. French Green Clay offers gentle exfoliation and will absorb and remove impurities from the skin, revealing the fresh surface of the renewed skin and providing a healthy glow. When prepared as a mask, the clay dries on the skin causing pores to tighten and the skin starts to feel firm, toned and refreshed. French Green Clay can be used in mineral baths to promote relaxation of the body and a sense of well-being. It is suitable for all skin types. Mix small amount of the clay masque with water, hydrosol (our Complexion Mist is great for this), yogurt, mashed avocado, or milk to make a thin paste. Apply to entire face using gentle circular scrubbing motions. 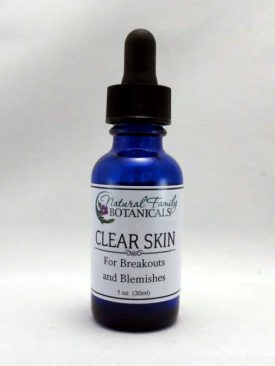 Great for overnight spot treatments on blemishes. For excellent results use this masque at least 1, preferably 2 times per week. Be sure to follow up with our micro-nutrient filled Complexion Mist to re-balance the pH of your skin after using the masque. 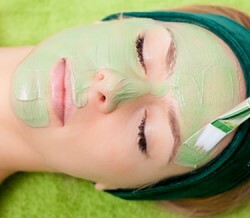 Just tried the Green Detox Facial Mask that was sent to me as a sample in my order. I Love it! It was gentle on my very sensitive skin and did not dry my under eye area out or any other part of my face like most clay masks tend to do. It is super easy to use with only a short application and wait time needed. My skin feels smooth, refreshed and my pores look smaller. Dare I say, I may look a little younger! 😊 I will definitely be buying this product on my next order! Looking forward to using it regularly when my dull skin needs a little boost. Thank you Kelly for making another amazing product!